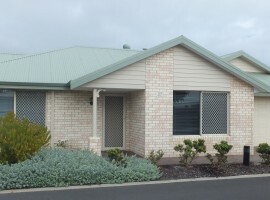 Novacare Lifestyle Village is a secure, gated retirement community for active seniors seeking independent living in the Busselton Geographe Bay Region of Western Australia. To this end, our independent living senior units are designed with careful consideration for seniors of all ages. Selling in a variety of different sizes and configurations, the village homes for sale boast spacious double brick units with modern appliances and finishes, complete with solar energy roof panels. These are all priced moderately when considering the quality of finish found in each Novacare independent living unit. You’ll be proud to own one of these superb homes, surrounded by beautiful gardens that you can tend to yourself, or leave to our professional onsite gardeners. There’s even room for your caravan or boat and a small, well-behaved pet. Visitors, friends, and family are most welcome to visit and stay for a few days in your own home. The prime location guarantees that your property purchase will be a great investment. Novacare independent living senior housing villas are sold with a lease for life, which means no stamp duty payable on any of our homes. Taking into account the stage of your life that you are in, repayment terms are friendly for seniors over 55. 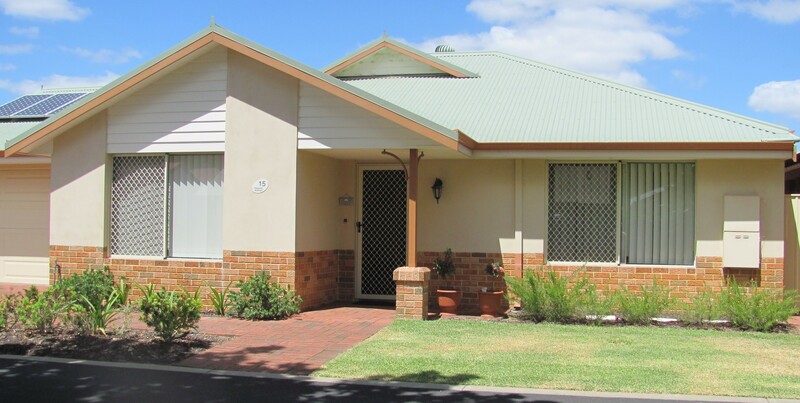 Residents are responsible for maintaining their own independent living unit and simply pay Council, electricity, gas and individual water rates with discounts for seniors and qualifying pensioners. There is a monthly village levy, which covers the management and administration of the village, maintenance of the Village Square and community facilities, external community gardens and grounds, building and community facility insurances, 24-hour security and community facilities utility expenses. You’ll enjoy peace of mind and relaxation that comes with knowing that your personal, home and community security are under guard 24/7. With state-of-the-art security measures such as remote control estate and garage entry to your own lockup garage and direct access into your individual home, security should not be a concern. All homes also feature security screens and a 24-hour emergency call button service. We invite you to visit Novacare Lifestyle Village in Busselton to view our exceptional homes and resort-style Village community facilities. We have a selection of properties for you to choose from. Visit us today to see how you can transform a house into a suitable home for you. You can visit the Village on Wednesdays and Saturdays between 2pm and 4pm or by appointment. 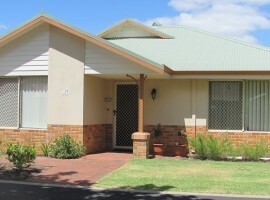 Quindalup Design: Great floor plan, refurbished interior with spacious double garage and storeroom. Huge rear paved patio area and lots more! Comprising: Entry Hall and separate Lounge. Main Bedroom with Built in Robe and ensuite. Second bedroom with built in robe. Powder room with WC and separate Laundry. Spacious dining and rear living area. Craft room / study. Features: Spacious rear patio area. Close to Community Amenities and bowling green. Refurbished Interior. Very popular designed home. "CAPEL DESIGN": Inspection will delight with this immaculate 2 bedroom villa. 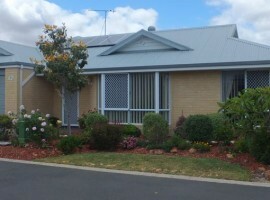 Fully refurbished, single lockup garage, attractive rear patio, roof mounted solar energy panels and lots more! Comprising: Entry Hall and north facing Lounge. Main Bedroom with built in robes. Second Bedroom with built in robes. Bathroom with large shower and WC. Powder room with WC. Kitchen. Dining Room with sliding door to rear Patio. Separate laundry. 4m wide Single Garage. Features: Attractive Rear Patio with rockery garden. Built in garden beds to back yard. Ceiling fans throughout. Great location in Village Boulevard facing north. Roof mounted Solar Energy Panels. Split system air conditioning to Dining Room. "Plus" access to all the Village Amenities! BUSSELL DESIGN: 'Real Gem' - Supberb and popular open plan layout featuring large living area and superb outdoor area. COMPRISING: Entry Hall. Large Living and Dining area. Study and 2 Bedrooms. Separate Powder Room with shower and WC. Both bedrooms with built in Robes. Bathroom complete with WC. Kitchen and laundry. Double lock up garage. FEATURES: Superb floor plan. Ducted reverse cycle Air Conditioning. Attractive rear patio area. Solar Energy panels. “Plus” all the Village Amenities!